Since its founding in 1964, hundreds of volunteers have served the Cote Saint-Luc Emergency Measures Organization (EMO) and Emergency Medical Services (EMS). 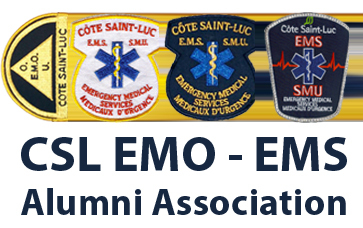 Former members are invited to join the EMO-EMS Alumni Association. We are compiling a list of former members (name, years served, where are they now, special memories, photos). If you served with EMO or EMS, please contact us. You can also join our EMO – EMS Alumni Association page on Facebook.